Website about populat instant messaging service - ICQ. 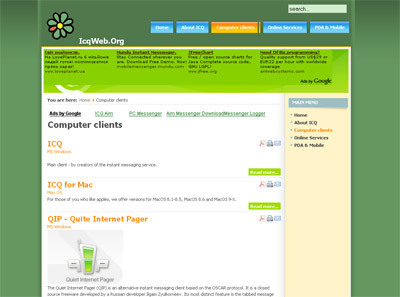 You can read ICQ history and choose client depending on your requirements and Operating System. Developed using Joomla CMS and free template JA Sabina. SEF URLs realised with with Artio JoomSEF component.